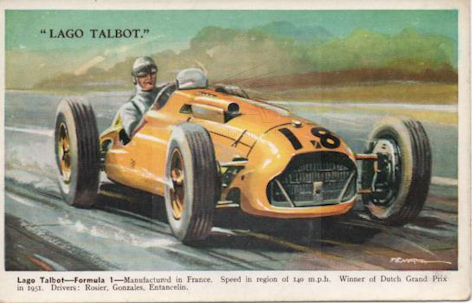 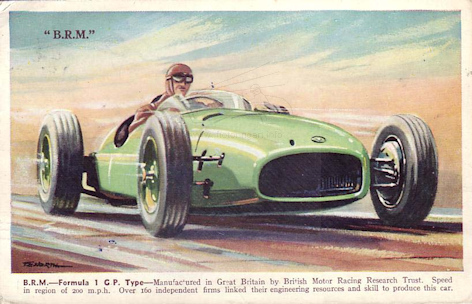 Postcards seen of motor racing art, for example BRM published by Valentine. 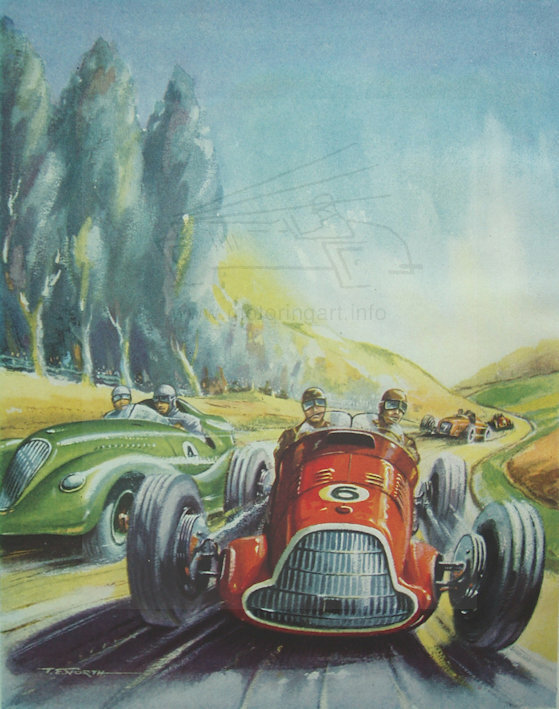 Also a popular illustrator of children’s books. 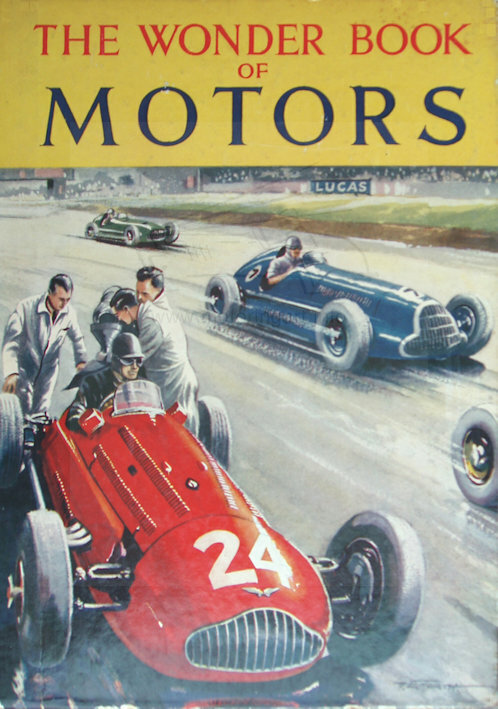 See the Collins series of annuals and some editions of Wonder Books of Motors. 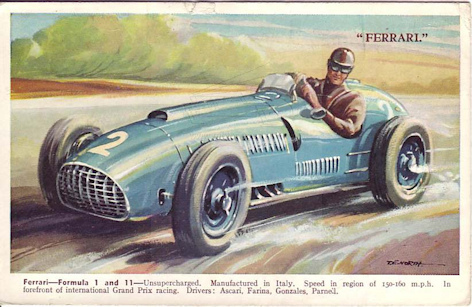 COLLINS BOY�S ANNUAL author unknown published Collins circa 1955 THE WONDER BOOK OF MOTORS ed. 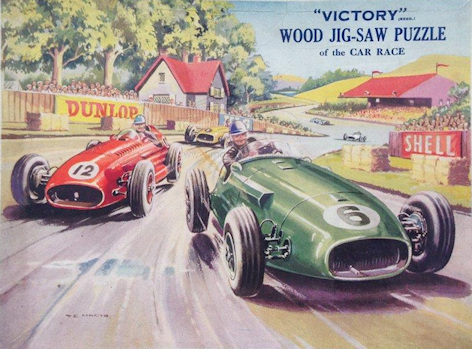 Harry Golding published Ward Lock 6th & 7th editions.